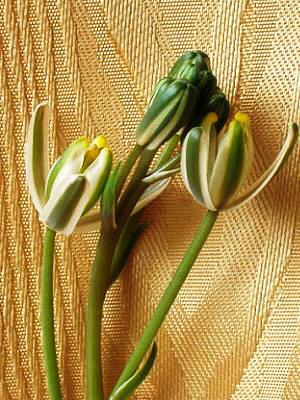 Synonyms: Ornithogalum longipes, John C. Manning & Peter Goldblatt 2003. Got it from: Erkelens-Golkrath, D.
This member of the Hyacinthaceae family was described by John Gilbert Baker in Rec. Albany Mus. i. 93. It is found in Southern Africa, growing in grit or well-drained soil with some water and lots of sun. 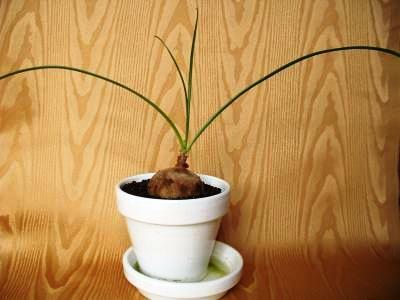 The bulb will grow to four centimetres in diameter, the leaves up to 20 centimetres. 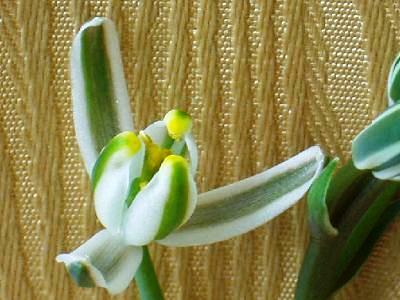 The flowers are green and crème, the plant can be reproduced both by seeds and bulbs. It might been transferred to the genera of Ornithogalum in 2003 by John C. Manning & Peter Goldblatt. Volmoed IB 10407. Said to occur from the Richtersveld to the Biedouw Valley.